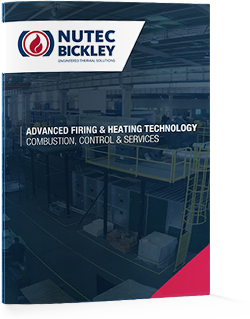 Nutec Bickley designs Air Dryers for a wide range of processes and applications with capacities ranging from 0.5 MMBTU/hr to 300 MMBTU/hr. Nutec Bickley Air Dryers fabrication has full capability to offer complete control and instrumentation systems to suit each customer’s requirement – from simple to very advanced and sophisticated controls. Temperature control loops, fuel ratio control loops, instrumentation for over temperature by stand alone instruments or PLC based SCADA software control systems are offered. Control panel with PID or PLC. Generator of Hot air from 50°c to 400°C.